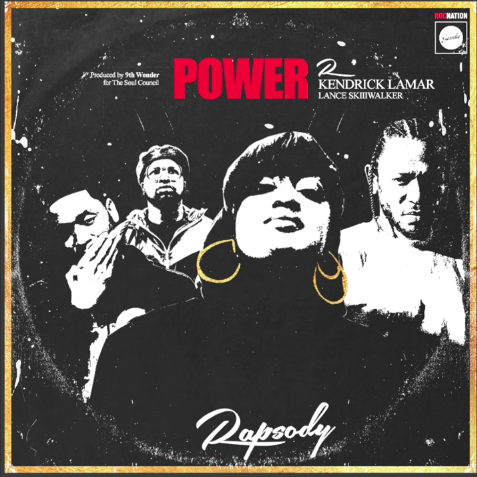 New visuals from Rapsody’s featuring K.dot off Rapsody’s incredible Laila’s Wisdom album. New visuals from our Peruvian homies Inkas Mob. Members of the group our featured in our Coming Home: Peru film which connected the guys with our very own BeatsNdaHood who is a fellow Peruvian and member of the group. This track features Venezuelan artists Big Soto and Trainer and is produced by BeatsNdaHood and our Militainment brotha SPK. In the 2010s, the Hip-Hop interview is a shifting paradigm. Many of the genre’s top-selling artists shun the media’s interrogation, or simply opt for select trusted journalists or far-reaching sources to tell their story, share their thoughts, and face the curious public. Those asking the questions seemingly need to serve the audience and artist at once, a careful balance that has opened the gates of competition in telling the best stories. Using the medium of podcast radio, The Combat Jack Show has fast become one of the elite stages where Hip-Hop artists seem to feel respected and comfortable at once. Based out of Combat’s native Brooklyn, the show (featuring a dynamic ensemble of personalities including Dallas Penn, Premium Pete, DJ Benhameen, A-King, Just Blaze) creates a space where artists and entertainment industry figures can discuss a researched, advanced chronology of their careers, while also speaking to topical issues in the news, music, and the state of Hip-Hop culture. Combat, who is in his tenth year as a media personality, writer, and cultural critics has decades more working within the music industry, in an array of capacities, from legal to label, network to publishing. The man also known as Reggie Ossé applies these experiences to offering an insight to the culture and the artists that, to borrow from AZ, is rather unique. Whether LL Cool J recently chronicling being profiled by the NYPD or Foxy Brown opening up about the absence of her father and hearing loss, these moments are expounding on histories and changing perspectives. Speaking with Crazy Hood earlier this week, Combat Jack reflects on the year that has been. The show host explains experimenting with the format, both in the format as well as working to focus the platform. In the process, Combat touches on some of the show’s recurring themes, as well as his tenure blogging with XXL, and working in The Source’s editorial department. 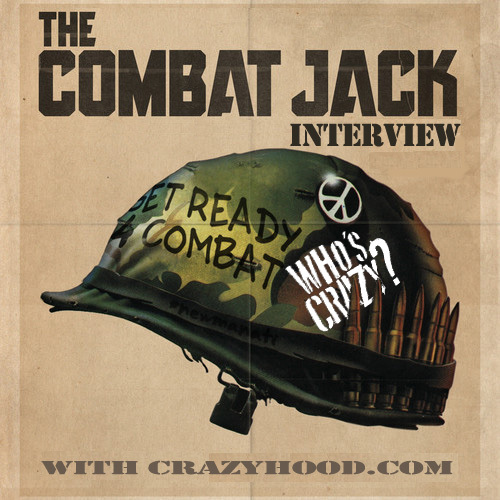 Crazy Hood: As a listener, reader, and a fan, I personally feel that 2014 was a benchmark year for The Combat Jack Show. Truly, I think the platform was the top source for Hip-Hop interviews in the past year. You may or may not agree, but with your hands in every part of the process, did you feel as though there was a specific tipping point? Combat Jack: Yeah, I just think we tightened up our ship with regards to who got airtime on the microphone. We really just focused on guests—getting great guests, getting great interviews. It was a lot of focus. Things just clicked; I didn’t think that we’d have a banner year when we started. Dallas Penn was leaving the team. We were trying to bring a female co-host on; Jean Grae had been on a few times. I didn’t know what The Combat Jack Show was gonna be in 2014. Then, after a while, everything just clicked. I don’t know exactly what the sign was, but I knew that when I got a call from Damon Dash to come back on the show to air out his grievances against Funkmaster Flex and a host of other people, it was serious. Crazy Hood: I was reading your recent interview with Okay Player. In it, you spoke about your inspiration for The Combat Jack Show based in part around The Howard Stern Show. I grew up, especially in the TV format, watching Stern. I loved the hard-hitting interviews, especially of celebrities on his show. But there was also the silly factor, inside jokes, emphasis on personalities and so on. When I think of the Rap Genius episode of Combat Jack, which was so groundbreaking, the same could be said. That’s not a shot at the team around you in any way, either, it’s just an observation as a listener. As you talk about focus in 2014, was moving away a sillier element of your own show something that you wanted to consciously change? Combat Jack: By default, that’s what the show became. None of us were trained to do radio. This year, definitely the changing of the personnel, we were forced to really tighten up, with regard to focusing on the interviews as opposed to the cast members. Crazy Hood: I’ve been doing this almost 14 years, and I know how many times I—or the teams I’ve led have been shut down trying to score an interview with Foxy Brown. Then, she does this amazing broken silence interview on The Combat Jack Show. Recently, Bumpy Knuckles told me that you’re one of the two platforms he feels comfortable opening up with, based on your research. How does it feel to be so trusted at a time when there is a healthy, perhaps quite justified, distrust of entertainment media? Combat Jack: I guess it’s because I’m from that era, number one. The questions that I have come from someone that was intimately related to that era that most of my guests come from. I think it also comes from the fact that I worked in the music industry, so I understand both sides: the creative side and the business side. And then I just think that I’m older. We’re not competing with radio, we’re not competing with shock-jocks. I really gain a lot of joy pulling out my subject’s history. I think that’s what these guys sense. I’m not there to attack them or ambush them or anything, man. I’m really just out there to really document their history, from a fan’s perspective. Crazy Hood: I never heard Hip-Hop interviews that address this concept of cultural responsibility, prior to The Combat Jack Show. “Cultural carpetbagger” is a term that’s forever in my mind, and no one was talking about these things in a public stage, especially as it relates to media and media integrity. Was hosting these sort of discussions always on the agenda, or was it more a product of what’s gone on the last few years? Combat Jack: You know, it’s kind of been my sentiment [for a long time], but I wasn’t really vocal about it. I think Dallas, being so astute with history and certain patterns, particularly things dealing with urban culture, New York City, and Hip-Hop, he’s the trickster, he’s the one that wants to bring not controversy—but light to the fuckery. I think he did a good job, particularly with guests like Rap Genius. He was able to pinpoint that the majority of the members of that team really didn’t have a concern for the culture. It’s just funny that over time, it wasn’t only his sentiment, but Damon Dash’s as well. I’ve asked the question [for years], but not in so many words. This year was a banner year in “what the hell is really going on with our culture?” Not saying that Black Music is exclusively for Black people, but at what point does Black Music not become Black music? I think that’s an issue—that’s an elephant in the room that we all have to discuss. Crazy Hood: As a Hip-Hop head, I think of Diggin’ In The Crates or Children Of The Corn, and I think of how certain collectives have so much talent that actualizes itself later, in solo endeavors. The XXLMag.com blog platform, as far as journalism, may be one of those things. In addition to what you and Dallas are doing, Andrew Noz is penning Fader cover stories and doing Red Bull Music Academy hosting, Byron Crawford is self-publishing touted books, and so on. Looking back at that formative part of your journalism career—in addition to Daily Mathematics, how do you reflect on the hot bed of talented minds? Combat Jack: Reflecting on that period, I think it was just an amazing time. When you’ve been around for a while and when you’re in tune with culture, you know when things are poppin’ and you know when there’s something magical happening. I think in between the years of ’04, when I first discovered Byron Crawford, to like ’08, I’d like to say was the [formative] days of the urban Rap blogosphere. You had so much talent, so many likeminded people, who maybe didn’t share the same ideologies, but we were all just very talented with a passion for this culture, particularly in the written word. So it’s just a very magical period. Looking back five years later, it just makes sense that a lot of people who were present at that time are still doing their thing. Where else are we gonna go? Combat Jack: —But I think also there is that aspect of putting up points or getting your name up, because when I was doin’ the blog, not only am I writing something that I’m interested in, but I’m ‘bout to stunt with a fly piece. You’d also wait for your contemporaries to put up something fly. So there was a sense of comradery, sense of competition, sense of putting points up on the board. Crazy Hood: With that said, it was about three years ago this time of year that I picked up an issue of The Source at a store. In a special issue, you were involved, Sway was involved, and the issue’s scope and layout was dope. It felt like it was trying to be “the old Source,” and I think I had bought my first issue in years—for subjective reasons. With such a hopeful start, why didn’t more come of that? Combat Jack: Right. That was the reason I was at The Source, so people that stopped buying The Source would consider buying it again. We were in a space where we were really trying to re-organize and re-invigorate The Source brand. There was a lot going on, and there were a lot of fires to be put out. We had the best of intentions, the best team, but overall, it was just such a daunting task. Like a lot of earnest issues, man, sometimes you’re just not able to complete them. Our tenure there ran its course and we weren’t able to [execute] all the mission that we set out to embark on. 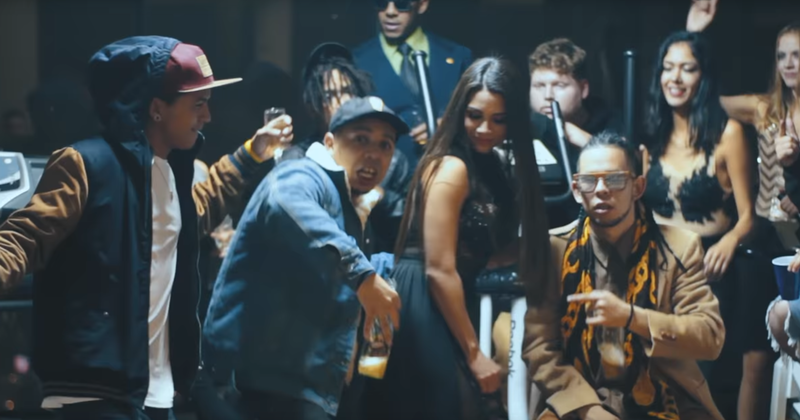 Crazy Hood: In the canon of culture vulture discussions, it seems to me that there are a lot of media personalities today that aim to eclipse the artist, whether in billing, branding, or just opinion. I don’t think you ever do that, yet listening to the show, I’m always intrigued when you might drop in on an anecdote you were part of in your legal career, or label tenure—but it’s underplayed. How calculated is it that even in long-form, with the format’s possibilities, you never really make it too much about you? Combat Jack: I guess that’s arguable, because a lot of my biggest critics say that I spend too much time interrupting my guests. [Laughs] That’s something that I’m still trying to work through. But once again, man, I’m a fan of most of the people that I interview, and I’m really, genuinely interested in hearing their story. So I can’t even imagine or fathom why my personal story would be more exciting, or equally interesting as theirs. I’m just honored that these guys are sitting in front of me, and I’m havin’ the opportunity to ask the questions that I wanted to ask 10 to 20 years ago. Crazy Hood: You do a ton of research in your interviews, pulling from other interviews, books, etc. With your law background, Hip-Hop ultimately needs a library of this information—beyond Wikipedia pages. Ultimately, where do you see the information that you’re part of, that we both are, going? 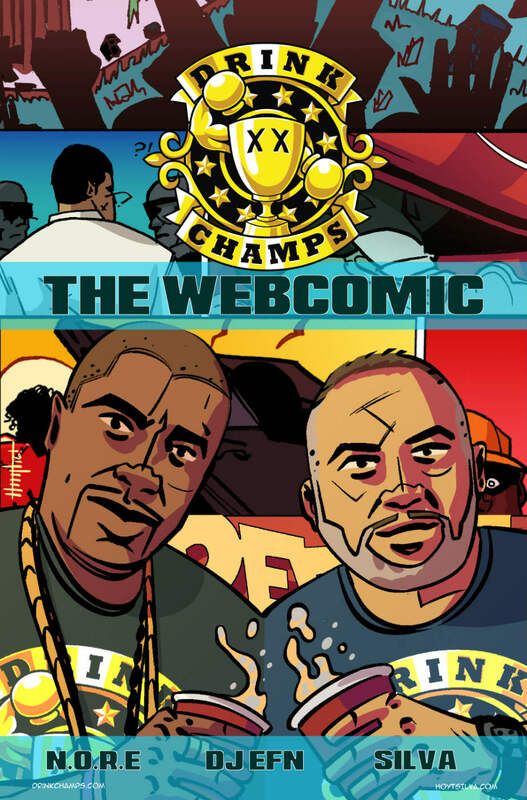 Combat Jack: I definitely need to register my works with the Library of Congress, number one. I definitely gotta get my shows to the Harvard Hip-Hop Archives or Cornell’s Hip-Hop Archives. Educationally, I’ve got to find a home for my catalog. Combat Jack: I’m open for experimenting, but also, I know, similar to Ira [Glass’] journey, that it’s a theater of the mind. Not having images interfere with content, not being focused with cameramen and television shows, it just gives us a lot of freedom to focus on pulling out the content from our guests. There’s no distractions. I remember when we were at Complex, there was an issue as to why we didn’t have our initial Damon Dash episode televised. When I think back, there is no way it would have been as candid. There is no way that Just Blaze would have been as open or as sensitive or emotional as he was on that episode. We realized, contrary to the trend that as things become more advanced technologically that we should take advantage of all that, I think at the end of the day…yeah, I understand “what’s up with your YouTube page, why aren’t you putting more content on it?” but you got admit that there’s a certain magic that comes from the simplicity of theater of the mind, which is radio and podcasts. It’s not like people are beating down the doors…you don’t see a Serial television show. I just love the simplicity. We talk, and we give this to you guys, and we let your guys’ minds goes crazy. Also, I think the thing that puts us ahead of the 8-ball is that with technology right now, with podcasts, it’s so simple to just listen. You can put it on your iPhone, on your car, at the gym; you don’t have to sit down and watch. Because you don’t have to sit down and watch, there’s an attraction, “Let me get through this entire episode. If I don’t get through it now, I’ll get through an hour from now, tomorrow, Thursday, Friday…” It takes the pressure off of the consumer to sit down in a particular place and consume the entire piece. Crazy Hood: A lot of folks covering the culture don’t have your perspective, as a Brooklyn, New Yorker growing up when you did. In the LL Cool J interview, hearing about Big Chuck, Alpo, and so on. How has that unique vantage point been an ingredient to where the show is now? Combat Jack: It’s so important. I was so fortunate to be around in New York City in the ‘80s and the ‘90s. I’m very conscious of the fact that a good percentage of my audience was not there. Even if it’s not an age thing, it may be a demographic thing, or a geographic thing. Even if you weren’t there, my goal is to pull out—even though we’re listening to something that’s just audio—my goal is to pull out a full sensory experience. I want you to smell the ‘80s, smell the ‘90s, taste it and touch it. A lot of times, when I’m talking to somebody, when I ask them, “What did you feel?” What did you see?” it’s to add more texture to these magical periods that we’ll never see again. I really do that consciously. Crazy Hood: You close your shows, and even some of your interviews with the same tag phrase: “Dream those dreams then man up and live those dreams because a life without dreams is black and white and the universe flows in Technicolor and surround-sound.” Is that something you created, heard growing up, or otherwise? Combat Jack: I appreciate that. Growing up, listening to Mr. Magic and Frankie Crocker, on their show, they always had a phrase or a slogan that identified who they were and identified what their show was about. This is really just paying homage to urban DJs from the past, particularly Mr. Magic, and Frankie Crocker from BLS. Jake Paine has been a music industry professional since 2002. A former Editor-in-Chief of HipHopDX, Paine previously was AllHipHop’s Features Editor, and Managing Editor of Goods magazine. He has written for Forbes, XXL, The Source, Mass Appeal, among others. 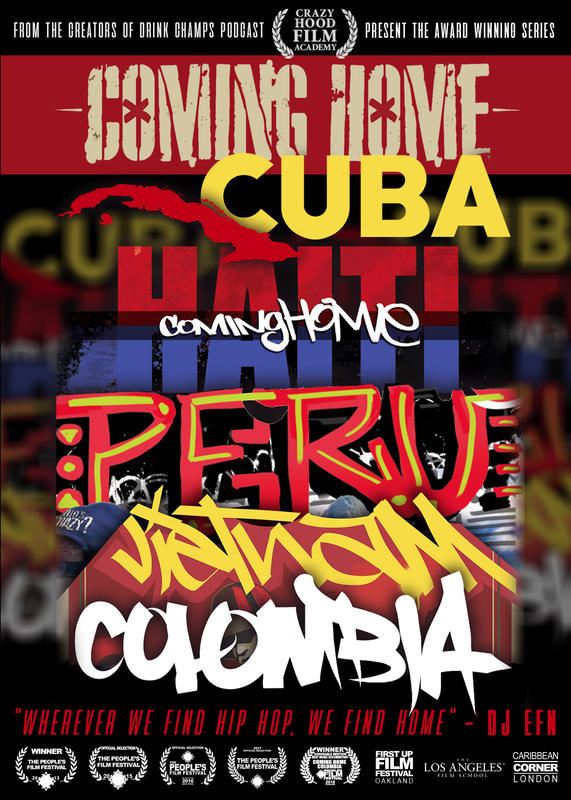 As we gear up for the release of the 5th film in the Coming Home series, take a look at the four previous released films (Coming Home: Cuba, Peru, Haiti, and Vietnam). Stay tuned for more news and info on our new film Coming Home: Colombia! Here’s a sneak peak at the latest installment in the Coming Home series, Coming Home: Colombia. 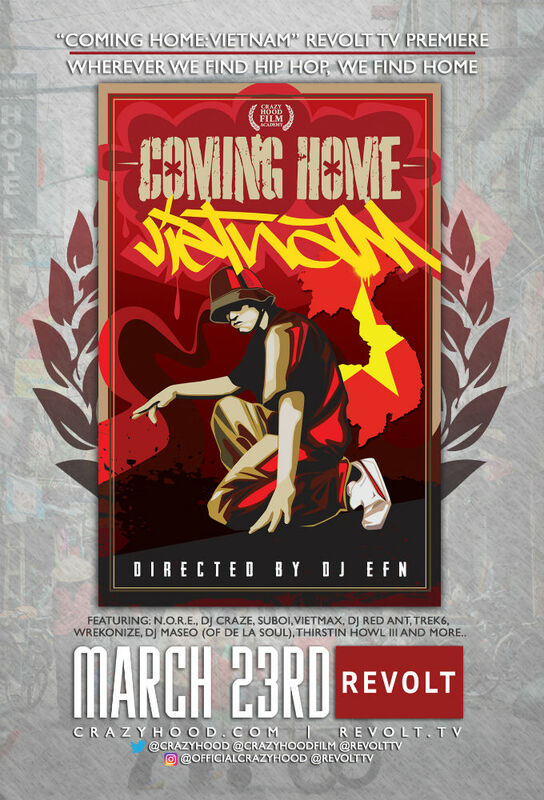 The fourth film in our ‘Coming Home’ series which follows DJ EFN and the Crazy Hood crew as they travel to countries seeking out and exploring the country through hip hop culture. Coming Home: Vietnam will premiere March 23rd 8:30pm ET on Revolt tv. 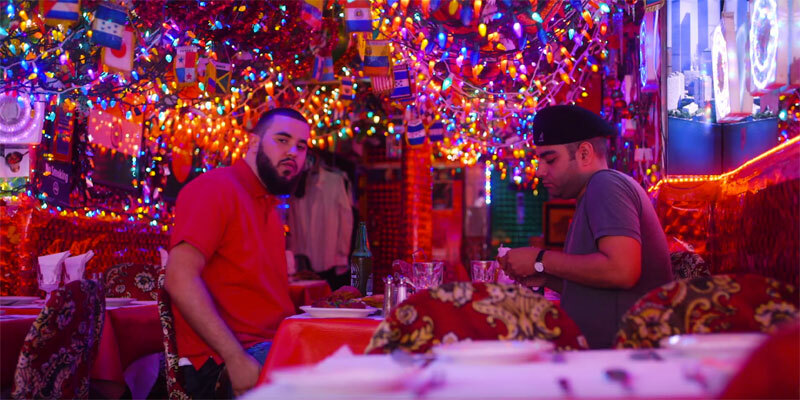 New visuals from Your Old Droog featuring Heems off Your Old Droog’s Packs album.